I've always been amazed to see the care provided by mama gators to their offspring. They will take on anything and everything to protect them until they are about a year old although there are observations of them staying longer. 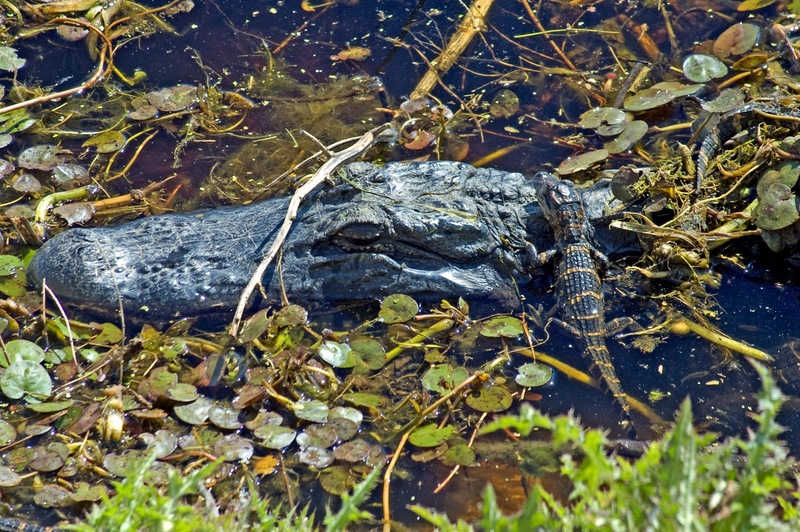 This photo was taken along the La Chua trail in Payne's Prairie which is located near Gainesville, FL.